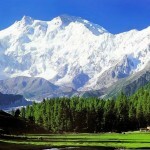 The state of Jammu and Kashmir is appreciated worldwide for it′s amazing natural beauty. That′s why this state is rightfully called Heaven on Earth by one and all, and Srinagar is the summer capital of this beautiful state. Srinagar is the summer capital which is situated in the centre of the Kashmir valley, and is surrounded by five districts. Srinagar is an extremely old city with a vast culture and long history. It dates back to 3rd century BC and is said to have been founded by the King Pravarasena II. He named this city after him as Parvasenpur, which was a part of the Maurya Empire then. Srinagar was also ruled by the Kushan dynasty, the Huns and the Mughals. The Kashmir valley also witnessed the advent of the Buddhism that was first introduced by the noted emperor Ashoka, and later Vikramaditya also helped to strengthen the Buddhist culture in this region. Srinagar was made the capital in 960 CE. Various infiltrators from ouside India also ruled over Kashmir. Post independence Kashmir has also been a target of militancy for a long time and it is also been a bone of contention between for Indians and Pakistanis since several decades. 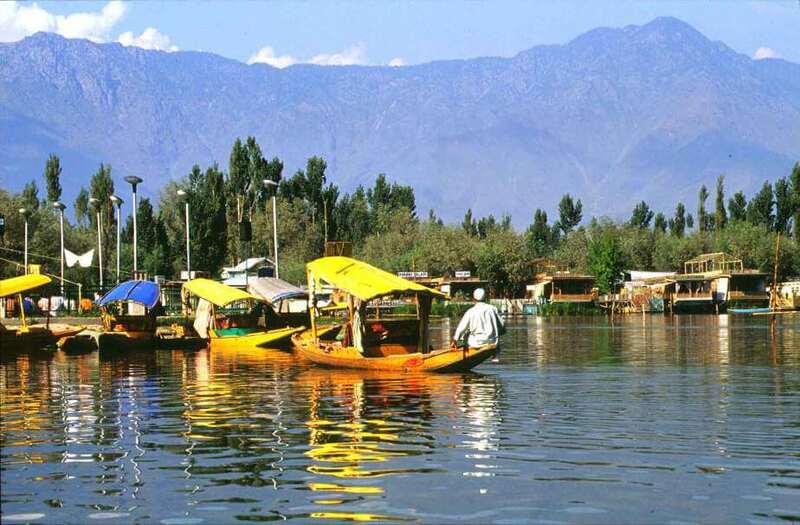 Srinagar lies on both sides of the river Jhelum that passes through the city, the valley and finally merges with the Dal Lake. The city consists of nine bridges. Srinagar is surrounded by Himalayas and hence it mostly has warm summers and cool winters with heavy snowfall. The snowfall disconnects Srinagar during the winter season. The Mughals have left their distinct impact wherever they have ruled and lived and Srinagar is no exception. The Mughal Gardens consist of three gardens namely — Nishat, Chesmashahi and Shalimar which are supposed to be the mirrors of paradise. Today these gardens are used as places for picnics and excursions. The beautifully terraced lawns with fountains, flowerbeds, in front of the Dal make it an extremely stunning place. These gardens epitomise the Mughals′ concept of paradise. This garden is located on the banks of the Dal lake and it is in backdrop of the Zabarwan mountains. The snow covered Pir Panjal adds another touch of beauty to this garden which was designed by Nur Jehan′s brother, Nishat in 1633. This garden is located in front of the famous Dal lak and it was built by Emperor Jehangir. Cheshmashahi is another stunning garden. This mosque is popular among people for its beauty. 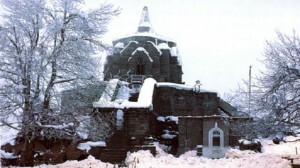 This Shiva temple can be seen from the Dal Lake and is situated on top of a hill. If you want to see a bird′s eye view of the city, you should pay a visit to the Pari Mahal. The view is fabulous from this area. Indians all over the world know very well, that Kashmir is the land of shikaras and houseboats. After all who can forget the visual of a young and energetic Shammi Kapoor wooing a beautiful Sharmila Tagore in a shikara in Kashmir ki Kali? No one can. Take a shikara ride and if you want to enjoy the ride in a quieter area, ask the shikara rider to take you to a lesser crowded area. 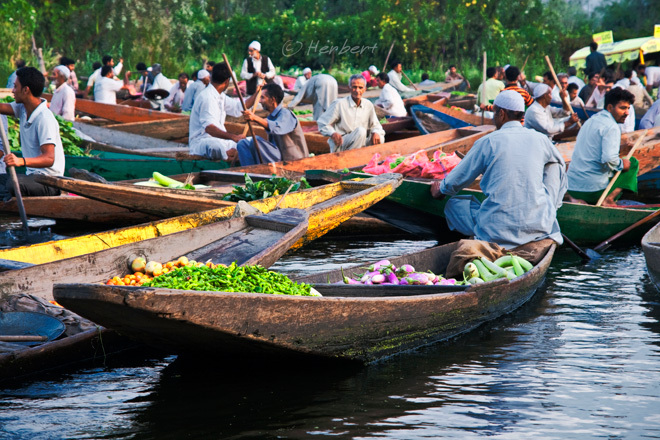 The must visits on your itinerary should be the floating village and the floating vegetable market. An agent can easily help you to visit a floating market. Houseboats are a good option of staying or even for an occasional ride. They consist of 2-5 bedrooms, bathrooms, dining room with an upper deck. A couple of activities that you could consider are trekking in the higher lakes of the Kashmir valley such as Vishansar Lake, Nundkol Lake etc. Srinagar offers great stuff to shop that include cashmere/pashmina shawls, kashmiri shawls and other woollen garments, garments with Kashmiri embroidery, dry fruits and bakery items. Amongst dry fruits walnut is a Kashmir speciality. Srinagar is a non-vegetarian′s heaven. You must taste Rogan-gosht and grilled mutton in Srinagar. So are you planning a trip to this heavenly place called Srinagar anytime soon? It’s really a place worth paying a visit this summer. So hurry up and book your tour to this magnificent place.